Where do you go when you want to get into acting? Hollywood. Where do you go when you want to get into politics? Washington D.C.
Where do you go to start a tech company? Silicon Valley. Most people know Silicon Valley creates tech company after tech company. Former employees and founders of PayPal alone have created LinkedIn, YouTube, Yelp and Tesla, to name a few. But where are the San Diego companies that have become global leaders? If Qualcomm hasn’t done it by now, it probably won’t happen (though maybe the new CEO will contact me to discuss). There is a segment, however, that is creating amazing companies and reinventing or disrupting one of the oldest industries in the world, and they’re all in San Diego. Where do you go when you want to leverage technology with advertising? San Diego. When companies like Pepsi or Procter & Gamble want big ad campaigns that run on TV, radio and in print media, they go to ad firms on New York’s Madison Avenue. But that’s all changing as marketing and advertising take on an entirely new form. Marketing might be an app where you can deposit a check without going to the bank, or one that lets you know how many miles you run or how far the pizza delivery guy is from your house. And that’s where San Diego companies come in. 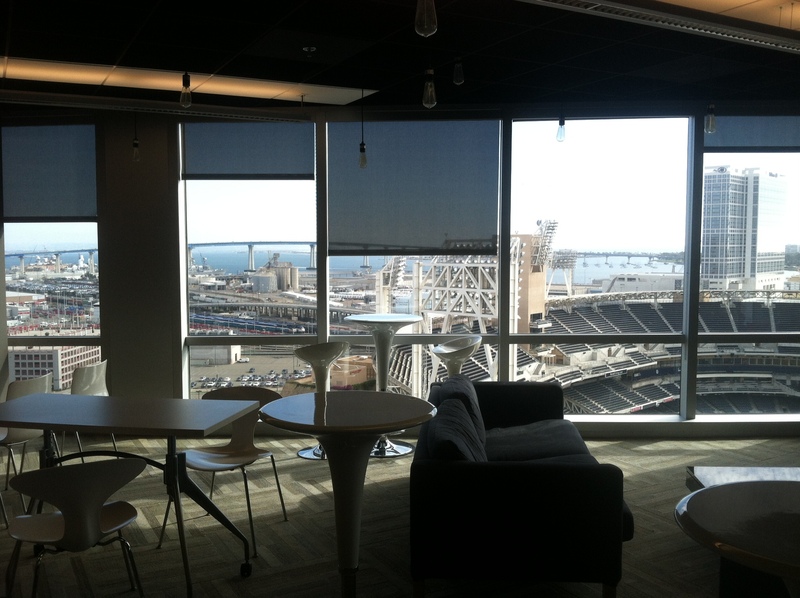 San Diego’s digital agencies are leveraging technology as advertising and creating technology solutions for the world. Here are a few of the amazing companies that are developing the right culture and creating San Diego’s own Digital Mafia. Digital-Telepathy is a company that leads with design and works with some exciting startups and thought leaders. They have worked with local startups Mogl, StayClassy, Pathway, Embarke and Assistly (now Desk.com, acquired by salesforce for nearly $100 million). The biggest startup they work with is New Relic, which has raised $175 million and helps mobile and web apps run better. They are a design team highly regarded by Google Ventures, which provides seed money and other support to fledgling tech companies. When Google Ventures invests in a startup (and they don’t invest small) and the startup needs web design, or anything marketing- or design-based, they can send that startup to Digital-Telepathy. There is no formal affiliation. Digital-Telepathy is rooted in design but is also building platforms and apps of its own, both to sell or keep in-house. Digital-Telepathy’s design and development team has created Filament, a simple drag-and-drop platform to add apps to any website, Hello Bar, sold to Crazy Egg in 2012, gives websites a way to highlight messages and SlideDeck allows anyone to add a beautiful slider (an interactive tool to help increase conversions on your website) without needing any code. “We are entrepreneurial web geeks who work with just startups and thought leaders,” said Longanecker. Longanecker and his group have a growing in-house internet publishing platform about startups and design called DT.tv and a Culture Blog. Another amazing company building digital products is Digitaria. Founded and headquartered in San Diego, they are reinventing the 150-year-old J. Walter Thompson, one of the oldest New York advertising agencies (think “Mad Men”) and digital is at the center of the changes. Led by its futuristic-minded leader and co-founder Dan Khabie, Digitaria is able to see the trends in design and technology before they emerge, and start to design for the future. A great example is cloud storage, a popular term now that Digitaria has been working with and designing for almost a decade. Digitaria does both design work and full app development for companies like Lincoln Motor Co. and Amazon. One thing that sets it apart: The company can develop and build the digital products that their clients want. “We are a marriage of Madison Ave. and digital technology,” said Khabie. They recently worked with Amazon designing the look of Amazon’s web services and built an entire pet owners Social Media Platform for Nature’s Recipe. They are delivering ad solutions that use the best of the web and leverage technology to do it. Khabie and Digitaria are building their own digital mafia by building companies from the inside that can function entirely on their own. Their current project, Big on Mars, is a mobile app building company that gives clients the design, engineering and innovation to build next generation apps. Khabie said he is doing everything he can to grow San Diego’s digital and tech ecosystem, and is bringing talent in from as far away as London. Khabie said he wants to create as many companies as possible. “It’s never been done in San Diego. San Diego is important to me, my focus is on making it special,” Khabie said. Clarification: This post has been updated to better reflect the relationship between Digital-Telepathy and Google Ventures. The two are not formally affiliated.